You probably know that Energy drinks like Red Bull are bad for your health, but did you know that Red Bull is ruining your skin too? No, it’s not the Caffeine inside Red Bull that is bad for you, it’s the combination of ingredients that is ruining you skin. The high dose of sugar combined with Caffeine is devastating for your skin. Red Bull makes your skin dehydrated and dry, which speeds up aging. 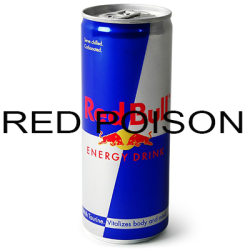 In some cases energy drinks like Red Bull cause redness, itching and rashes. An other problem of Red Bull is that it contains lots of sodium. Sodium may not be as obvious as the “sugar-problem”, and although there’s a sugar-free Red Bull option, there’s not yet one with a low sodium option. In one small can, Red Bull packs 9% of your sodium for the day. Have more than one, and you’re nearing 20%. Sodium raises our risk of high blood pressure, and in turn, our risk for heart disease, stroke, and kidney problems and off course; bad skin. No more Red Bull for me!